This beautiful large stark steer drinking horn measures about 19 inches in length and 3 by 3.5 inches wide at the mouth. 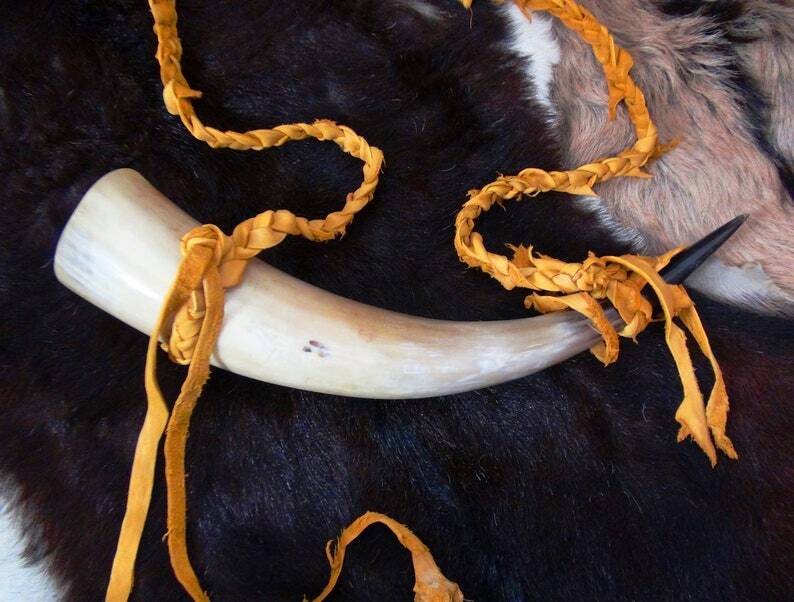 The horn in the photo is the exact horn you will receive when you purchase. This drinking horn holds 4.5 cups of fluid! The strap is made of sheep leather and measures 54 inches. The sheep leather strap is made for both hoops to slide off the bottom but not the top for easy cleaning. I used the edge of the hide to make this strap so it has that nice rustic ragged look because I didn't trim it. The leather is thick so the strap is very sturdy!